Ideation: Everything begins with a great idea. So the ideal process is to think of a topic/s you wish to speak about on the social networking websites. And once you’ve chosen the topic, the next important thing is to start researching more about it. Find out the ways with which other companies or businesses have been creating the social buzz about the given subject. Moving Furhter: After listing the main topic/s, you should start planning your posts in a way that you can decide about the various sub topics and the exact areas to wish to focus upon. Arranging things in order: If you’ve selected an event, you should also make efforts to arrange it in a proper sequence so that you can keep your audience updated about an event, a happening, or just any news story. Videos, audio clips, infographics, images, textual posts, games, contests, social avatars, etc. are some of the various mediums that can help you think of creative and stunning ideas. In essence, you should always bank upon- creativity and viral impact. Within every SEO campaign you should be trying to do outside of the box tactics to get more traffic to your website. 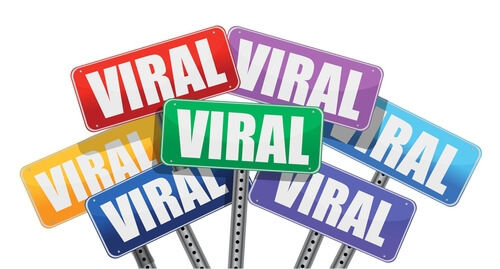 As more and more companies are trying to get their company to viral you have to take advantage of the situation and determine what information your potential customers want to see. Outside a top 10 list of keywords try and make sure your website offers the value proposition of your service to make sure you funnel your customers to you. If your website isn’t up to date with responsive design, mobile integration, or built for a tablet, your at a disadvantage. It’s not just about the fun stuff like videos and images, its the whole depth of your brand that people notice. Any short cuts and you are open for public criticism.